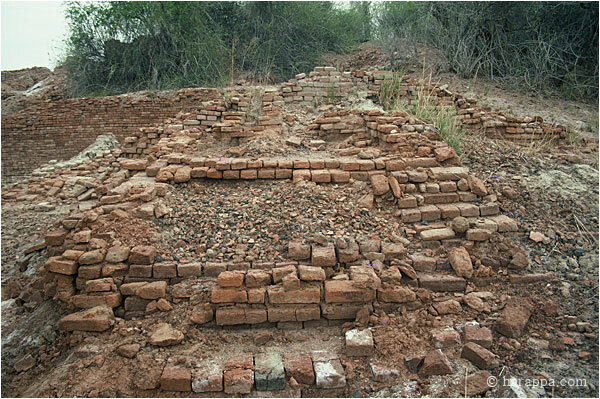 These rooms of a house are located at the edge of the area excavated by Dr. G. F. Dales in 1964 (UM Area). The room has a nodule floor fill and clearly defined fired brick walls. These vitrified nodules were intentionally created as a form of artificial gravel for use in construction.